If you're a bookworm, or even an aspiring one, one of the greatest joys is having a comfy space to cuddle up with a book for hours undistracted. In a world of non-stop push notifications, diminishing boundaries between work and home, and your already-hectic schedule, squeezing in some quality time to read can be a real challenge. 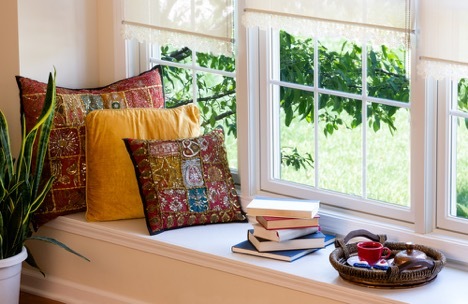 But designating a space in your home specifically for reading can help create that time for you, while also helping you to make better use of your interior space--whether it's a bay window begging for some TLC or an awkward corner of a room that you just don't know how to style. By making major headway on your reading list, you'll give yourself an outlet to unwind and reduce stress, an opportunity to learn new things while building your vocabulary, and if you have children at home, you'll be modelling a great habit for them, helping to develop lifelong readers. 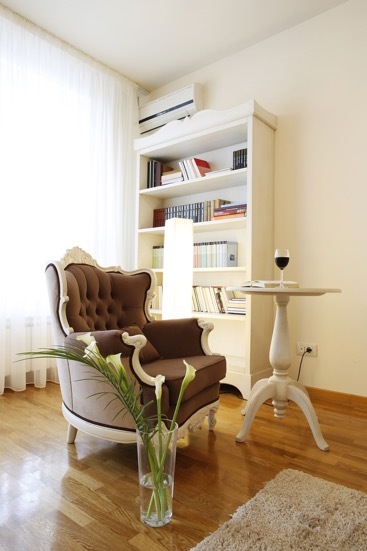 Read on for tips to help you set up a reading nook in your home that will motivate you to sit down and enjoy a good book today. The most important thing when creating a reading nook is to find a space where you can minimize distractions. So if you have a large family or lots of roommates, you'll want to find a space that is away from the hub of your home. That said, if you hide yourself away in a walk-in closet or a crowded basement, you won't be able to relax and concentrate on your reading because all you'll see are projects for your ever-growing to-do list in front of you. To remedy this, make sure your space is clean and free of clutter. Your reading nook should provide you with a comfortable place to sit. 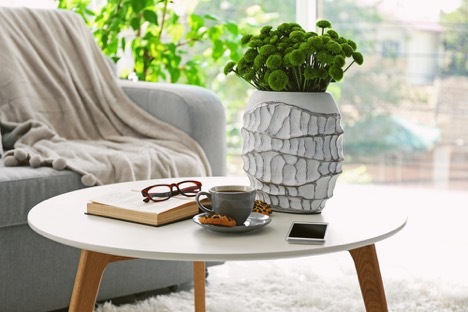 This could range from a chaise lounge to a pile of pillows, or whatever is most comfortable and in your design style. 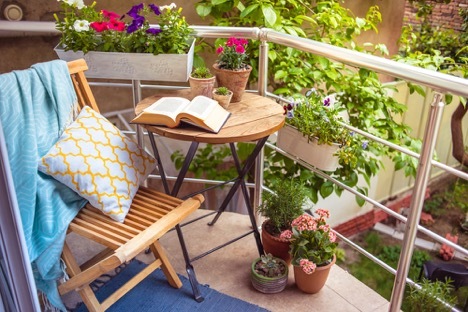 Make sure your space is attractive and appealing so that you want to spend time in it. Keep in mind though, this space is small, just a "nook," so don't feel pressure to make it fit into the design scheme of the rest of your home. In fact, you may want to draw inspiration based on your favorite books. If you love A Passage to India, maybe you want to decorate your space with bright bold colors and elaborate India-inspired decor to make you feel like you are really in the story. After you work out your optimal seating arrangement, consider incorporating a table surface. This way, you can settle down to read without having to get up and leave the space for a drink of water, cup of tea, or glass of wine. A steady table surface also minimizes the risk of spills that are frustrating to clean and will take you away from your reading. If you only occasionally wear reading glasses, this is also a great place to store them so you're not having to constantly hunt them down. Depending on your reading style, whether you read one book start to finish or many books at the same time, as well as your space constraints, you may want to consider adding some bookshelves. If space is limited, a floating shelf is a great way to keep your favorite books in arm's reach without sacrificing any floor space. If you have a daily reading goal, it will be handy to have other reading material on hand for those days when you're just struggling to really dig into Tolstoy or not in a sci-fi mood like you were yesterday. Setting a daily reading goal is a great idea, too. A study published in the journal of Social Science & Medicine recently found that people who read for three and a half hours a week, could expect to live an average of two years longer than non-readers. Need more motivation for forming a daily reading habit? Studies show that reading for just 20 minutes a day can expose you to 1.8 million words a year! Who wouldn't want to be just a little bit smarter? Danielle Hegedus is an Atlanta based writer. She is a regular contributor to Modernize , as well as a variety of lifestyle and home design websites. Danielle recently finished her first cookbook, in collaboration with Chef, Kamal Grant for Atlanta's beloved, Sublime Doughnuts.